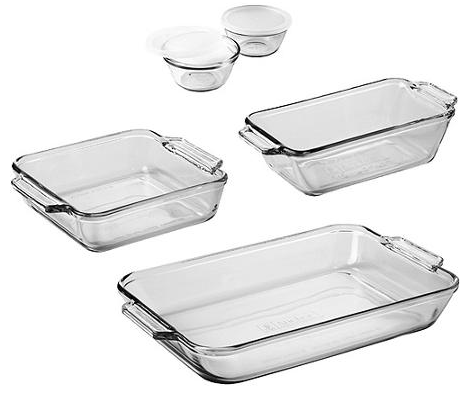 Anchor Hocking 7-Piece Bakeware Set $14.97 + FREE Store Pickup! You are here: Home / Great Deals / Anchor Hocking 7-Piece Bakeware Set $14.97 + FREE Store Pickup! Wow!! No need to spend money on the pricier versions of these! You can currently snag this highly-rated Anchor Hocking 7-Piece Bakeware Set for only $14.97 + FREE Store Pickup!